Retail Archeology actually posted its first examination of the end of Radio Shack in May 2017, three months earlier than Company Man's. Here's RadioShack: America's Technology Store No More - Retail Archaeology Dead Mall & Retail Documentary. In this episode of Retail Archaeology we take a look at RadioShack. He sure likes to geek out over electronics and video games. That's something he does a lot of in the next video, in which he corrects something that he said that contradicted Company Man, who was right. 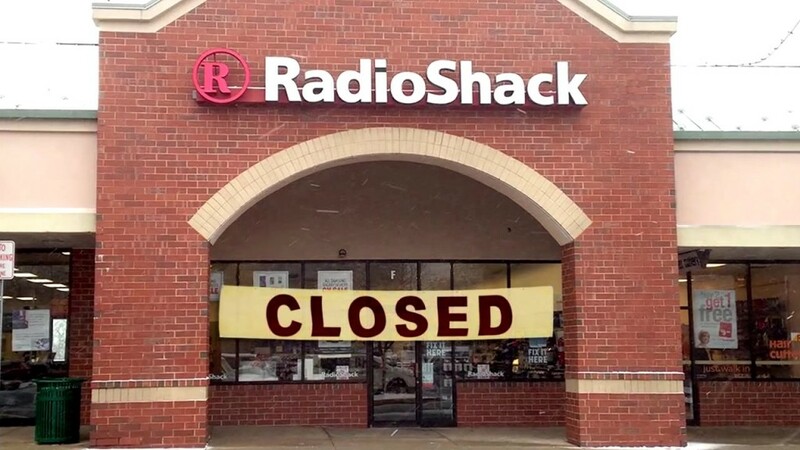 Not all Radio Shack stores closed last year; 70 or so franchises survived. I conclude today's entry with RadioShack Update & Electronic TV Scoreboard Pong Game | Retail Archaeology, published on May 3, 2018, a year after the previous video. In this episode we talk about some positive updates regarding RadioShack and take a look at their Electronic TV Scoreboard pong game from 1979! "It's older than Daddy!" "Wow." That alone made watching this video worthwhile. The next victim of the Retail Apocalypse I plan on examining is likely to be Payless Shoes. That probably won't be until next week, as I think I'll be writing about the movie and TV winners at the BET Awards and the World Cup before then. Stay tuned. The Radio Shack TRS-80 (lovingly known as the Trash-80) changed the direction of my life. I learned to program in BASIC and got a job as a computer programmer as a result. Still doing stuff on computers to this day, and getting paid for it. I remember the TRS-80 and learning to program in BASIC, although not on that machine. Instead it was on an IBM with a 386 chip in the 90s. Fun times. Glad Radio Shack helped you get started on your career. I recall before I noticed the decline, I would purchase any number of small pieces parts for an electronics project I needed done yesterday and not have to worry about the delay or shipping costs. They sold off their wholesale operation which became Allied Electronics, which is still going strong, but has issues with an almost useless parametric parts search (a good parametric search lets you find the most inexpensive part that can handle the parameters you need it to handle, such as the max voltage it will be exposed to, what frequency it will work at, etc.). At some point, if I actually did find what I needed at Radio Shack, the other parts to go with it were not there. The inexpensive but reasonable quality consumer products then went away. They almost completely missed the boat on the maker trend. They were the place to go long before we makers got the fun new name, back in the day. Then they betrayed us with the only sell the fast moving stuff approach to inventory. They even once had the cool books on how to build all sorts of fun stuff. They did not stick to their roots as a parts store and stay with the old cash cows like computers, etc. That's a really detailed story of how Radio Shack failed to meet your needs, which helps explain their failure. Thank you. I grew up with the Tandy Color computer and bought two of them, along with a lot of software. Whenever I wanted to put together my 16 speaker stereo system I used their speakers and amplifier. I have put together many of their kits. I have their weather radios and scanners. I even have their version of a Moog synthesizer. The last time I visited them all they had was a small number of parts, a few ready to go stereo systems, and a ton of phones. 95% of what I found fascinating was gone. If you do not sell what electronic enthusiasts want, they will go to where the good stuff is. They stopped supporting tinkerers and they are now dead. Thank you for both describing how Radio Shack used to be valuable to you and explaining how and where they went wrong. You succinctly combined the points of both of the previous commenters. Radio shack was a dinosaur. Its days were over when electronics became throw-away. I'd say its days were numbered but the number was bigger than a rational analysis would have calculated. That written, other than the franchises, the chain's days are now over.